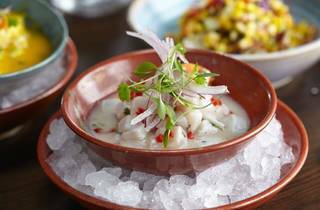 All of the things you love about Peruvian cuisine—ceviche, tiraditos, anticuchos—are just what you’ll find on the menu at Coya’s first U.S. outpost in Brickell. There’s also a dedicated Pisco Bar with more than 20 varieties of the Peruvian spirit, which bodes well for an area known for its happy-hour crowds. This place is gorgeous! There's gold leaf on the walls and velvet furniture and lots of reclaimed wood everywhere. 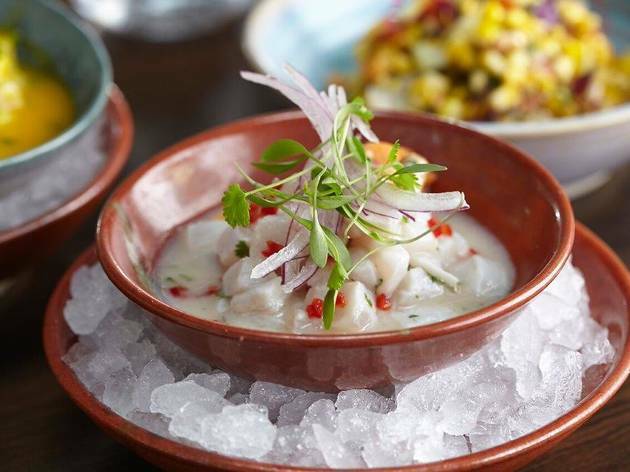 Unlike most beautiful restaurants where what you see is better than what you eat, Coya's food does not disappoint. The lomo saltado and chaufa-style quinoa were two of my favorites, partly because neither dish was as heavy as I'm used to experiencing with Peruvian food.